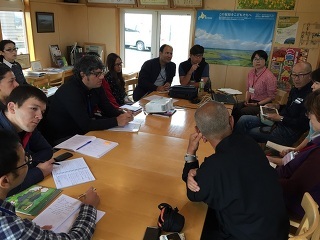 From 17 May to 6 July 2016, eight government administrative officials from Mexico, Uruguay, Myanmar, Bangladesh, Colombia, China, Malaysia and Tajikistan came to Japan to learn about the sustainable use of wetland resources for local benefit. 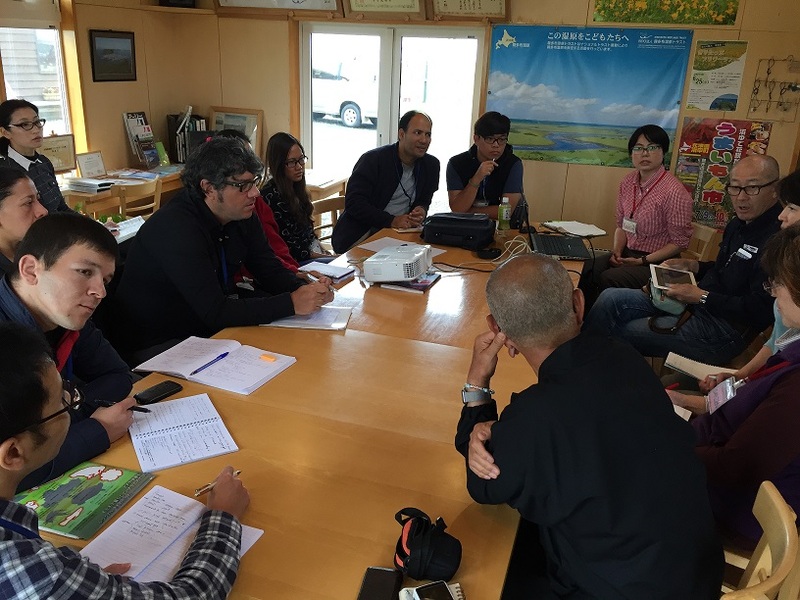 This issue-specific training program was organised by the Japan International Cooperation Agency (JICA) in collaboration with Japan’s Ministry of the Environment, and was hosted by the Kushiro International Wetland Centre (KIWC). Traveling from Tokyo to Chiba, Okinawa, Fujiyoshida, Tochigi and Hokkaido, the trainees learned about a variety of wetlands, including marshes, tidal flats, coral reefs, rivers and rice paddies. Specifically, they were introduced to activities and initiatives conducted to conserve wetlands in these areas, methods and ideas to use them for industry and education, and other efforts. 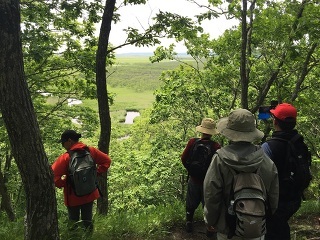 They had opportunities to talk directly with people engaged in conservation activities, local residents and government officials at Ramsar sites including Yatsu-higata (Chiba), Manko (Okinawa) and Watarase-yusuichi (Tochigi), as well as Kushiro Wetland, Lake Akkeshi and Bekambeushi Wetland, and Kiritappu Wetland (Hokkaido). Through these interactions, the trainees learned the background behind decisions to implement conservation efforts as well as examples of regional development utilising wetland characteristics (e.g., branding of agricultural and fishery products, related utilisation for tourism, and environmental education).